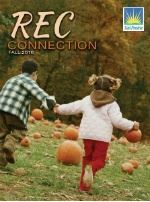 The kids and I had October 21-23, 2016 on our calendar for a really long time. The second annual Harry Potter Festival was going to be held in Edgerton - about a half hour away. We were excited, especially Little Diva. She read the entire series on her own in second grade. She's been mesmerized by Harry Potter's world ever since. I took a peek online at Harry Potter Festival and tickets were about $30. I wasn't sure if we wanted to pay for admission, as friends attended on Friday and Saturday and said that you could just walk around town. So, the kids and I through a little cash in our bag and headed down the interstate to check it out. It being Sunday, I'm told it was a lot less crowded than the Saturday event. Many items and apparel were sold out. There was also an event where you could fly on a broomstick and that was sold out, too. I'm not sure we would have paid for admission for that even if we could. We spent about an hour at the vendor fair. It was basically a Harry Potter themed craft show. Many local vendors were selling handmade crafts, wands, apparel, gifts. It wasn't "authentic", but it was cute. I ended up purchasing both kids wands for $3 - these were marked won from $12 since it was the last day. I also bought my oldest a Harry Potter Festival sweatshirt and cinch bag set. They were happy. We also got buy one get one ice cream treats right before they closed for the day. You didn't need tickets to participate in ANY of the events, other than the broom stick ride. I would have been outraged had I spent $100 on tickets. We paid $2-3 each to attend a maze put on by the drama club. Students played Harry Potter characters and did trivia with participants while you went through this dark and dingy basement. The kids liked it. One building was turned into a Harry Potter themed station, shops and candy store. That was the longest line we waited in. We stopped by another candy store where we were told they had chocolate frogs - only to find that they were store-bought frog candies being sold for $4. The kids understood when I didn't purchase them. We had fun walking around town, peeking into buildings and taking photos, but we were all pretty unimpressed by the event. We would go back just to walk around, but now we know what to expect. We didn't hear from anyone at the event that they were impressed by the booths and activities. Many weren't staffed or acts didn't show up. It was completely disorganized and participants were frustrated by the map that was (or was not!) given out. I guess, what do you expect if you don't purchase a wrist band. But those that did purchase the wrist band were upset by the unmagical experience. Last month, the kids and I (ages 9 months, 8 years and 12 years) returned to Lego Fest Wisconsin. It weld in downtown Milwaukee. We had attended a few years back at a blogger's event. The kids were a little older this time and we had another little one with us on our outing. We were excited to see what else Lego Fest had to offer these age groups this year. It didn't disappoint. Luckily the kids had off of school that Friday and we had tickets to attend the blogger event on Friday evening. We made a day trip out of it and made a few stops on our way to downtown Milwaukee. Friday night was busy, but I anticipated that it was going to be much more busy on Saturday and Sunday. That had area upon area roped off for entry and participation to the Lego Fest and to some of the activities. We didn't have to wait in any lines and the whole place was filled with hands-on activities with Legos, Lego sculptures, activities with electronics and other Lego-themed activities (reading, crafts, etc). They also had obstacle courses, challenges and free photo booths. Of course, there was shopping too! My middle child always loves the big pile (ouch!) of Legos that you can jump in and play with. It's pretty phenomenal to see in person. The kids enjoyed seeing all of their favorite characters come to "life" in these life-size Lego sculptures. It was pretty amazing to see the intricate detail that went into assembling these pieces. I really liked seeing the fairy garden from their new faire line of Legos. We also visited the infant and toddler area, which feature many different kinds of Duplo lego sets and similar Lego piles with larger sizes. They also had a nice private section for nursing, pumping and diaper changing. I thought that was pretty handy and creative on their part. Nice job, Lego! We ended up staying until the event closed and we forced to head out. We spent about 3 1/2 hours at Lego Fest and could have spent more time if we had it. There definitely was something for everyone to enjoy and participate in at Lego Fest Wisconsin. We will be back. We frequently are asked about life insurance and the different types available from not only State Farm, but from the marketplace in general. The standard term and whole life policies do still exist, however, as with any product and consumer need, life insurance has evolved and expanded. Today, you can find a whole host of different types of life insurance to fit a wide range of customer needs. Need something short term to cover a loan? 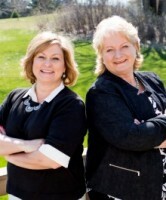 Concerned about how your mortgage will be paid if something happens to you or your spouse? Want a return on your premium after paying into a policy for a period of time? Or, do you want something that will help offset the rising cost of your kids’ college education? These are just a few of the questions we get when discussing life insurance with our clients. In previous times, term and whole life were really the only options with few variations and limited flexibility. That’s not the case in today’s marketplace. Today, there are many variations of both term and whole life policies. 5 year term, Return of Premium, Mortgage Life are just a few examples of term policies. Universal Life, Single Premium Life, 10-20 Year Pay Life are a few examples of whole life policies. How did these variations come to be industry standards? As mentioned previous, consumers ultimately helped shape and determine what fit their needs best when it came to choosing life insurance. Consumers were tired of the old stand-by term and whole life options as one either didn’t necessarily fit their overall financial protection goals long term, or the other was just too expensive. Consumers wanted something more from both term and whole life. With term policies, Return of Premium came along as an option in which, depending on the term length selected, pays back all of the premiums paid if the death benefit is not used. In other words, if you selected a 20 year Return of Premium of $100,000 and if you were still alive at the end of the term, all of the premiums paid in to keep the policy active is paid back, tax free. We’ve had quite a few clients choose this term option as it provides “something” in case the death benefit is not used. We’ve heard them say they look at it as another savings account of sorts. Flexible, and still very affordable, we see a steady stream of clients aged 30-45 choose the Return of Premium option. Whole life options have evolved as well and one of the most flexible options is Universal Life. Universal Life might best be described as a sort of hybrid between term and whole life. Term because of the flexible premium payment options. Whole because of the cash value and death benefit till age 100. Universal Life is a great option for children as well. One of the riders that can be attached to a Universal Life policy is a Guaranteed Insurability Option. No underwriting or medical exam are required during the application and the child can take “ownership” of the policy at age 18, and increase the death benefit starting at age 21 and every 3-4 years after, up to age 49, with no additional medical exam or underwriting. Plus, if they get sick or would normally be denied a life insurance policy later in life due to medical issues contracted later in life, the Universal Life policy cannot be canceled. 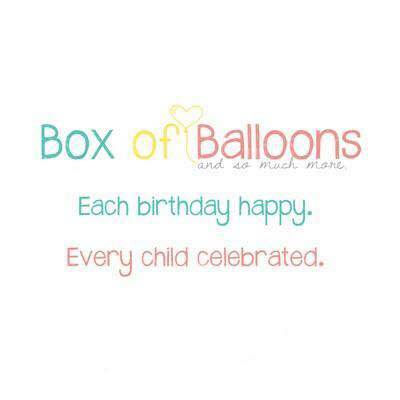 Another great option for parents is the 10, 15, and 20 year paid life options for kids. These policies are paid for a specified period of time – either 10, 15, or 20 years. After that time, no more payments are required and the policy has all the benefit of a whole life – cash value and death benefit till age 100. We like these policies since they generate cash value almost immediately and if purchased early enough in a child’s life, can have a generous amount of cash value that can used right around the time they are off to college, or to help purchase a car , or a nice down payment on a home. How do you know which policy is best for you and your family? Talking to an experienced life insurance agent is usually the best route as they can help determine what your needs are and guide you in the appropriate direction depending on what your overall financial goals are. 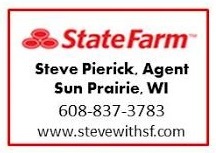 Contact Joel at State Farm in Sun Prairie at 608-837-3783 or joel@stevewithsf.com.